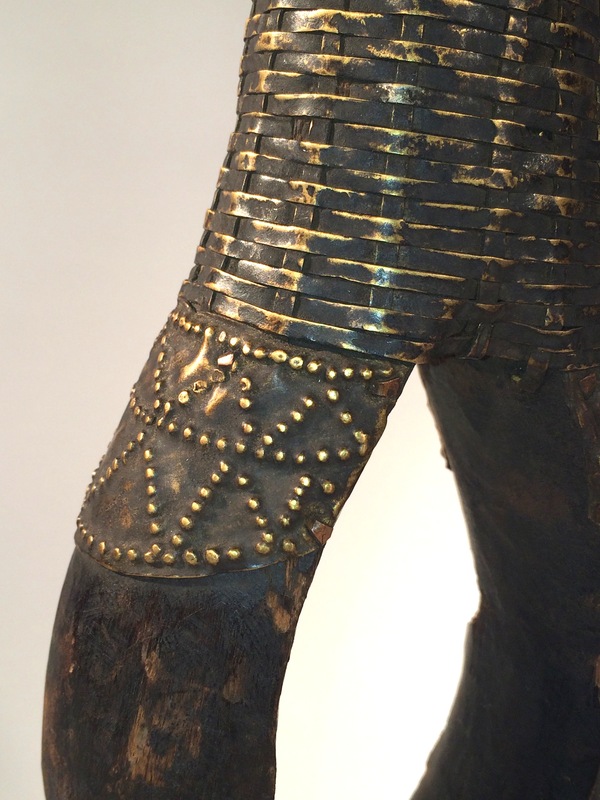 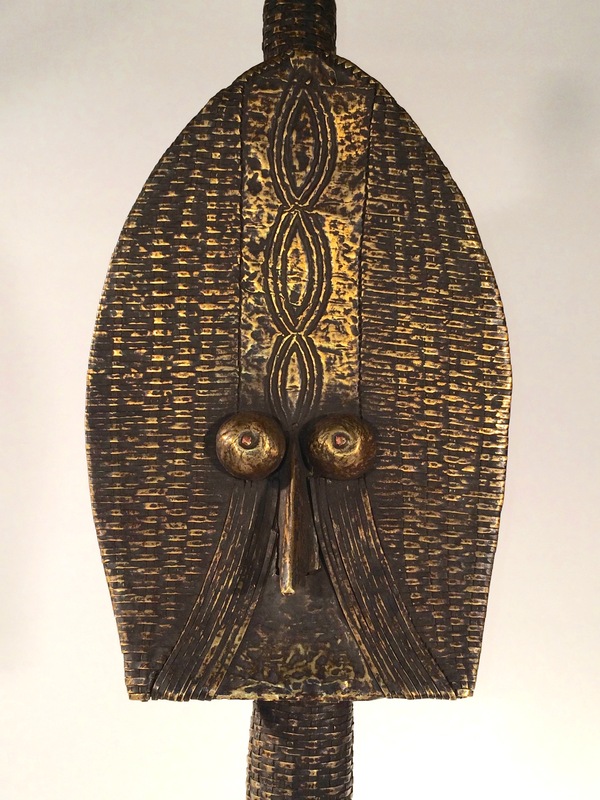 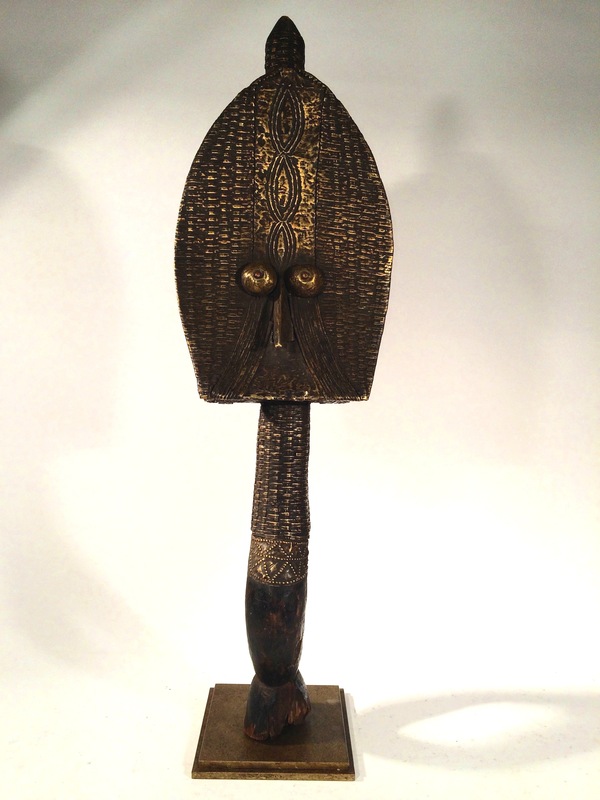 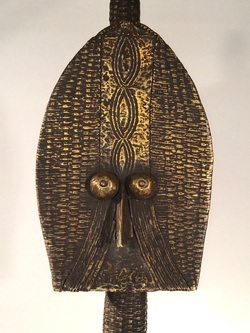 Beautiful example of African metal and wire work over wood in this reliquary figure. 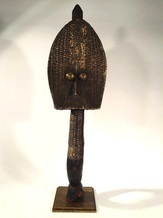 These types of ritual pieces were placed in baskets containing bones of ancestors to ward off evil spirits. 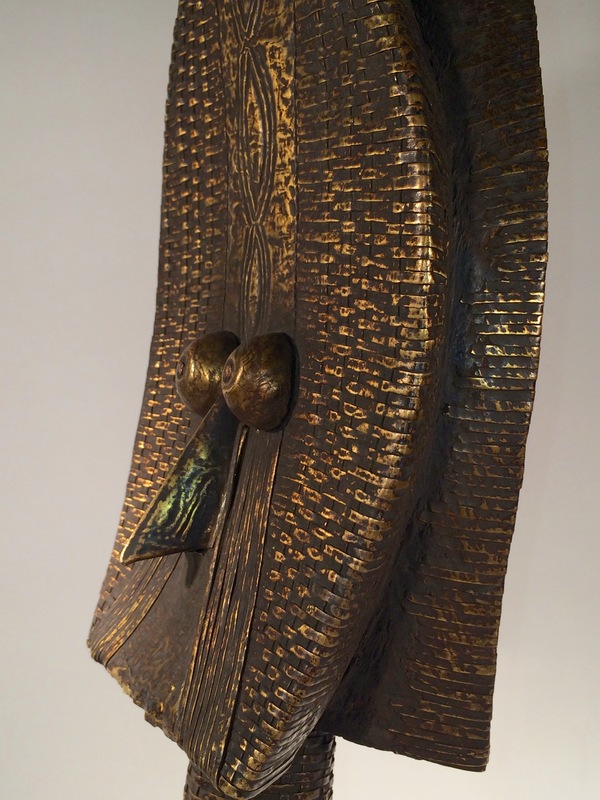 This outstanding work is a sculpture of timeless importance. L 8" x D 5.5" x H 26"